The Model i312 Power Supply provides +5, -12 and +12 Volt regulated DC power to a 5pin DIN 41524 Connnector. For details showing how the i312 is typically used in an instruNet system, click here. As noted in the below table, the i312 is available with either a USA (#iNet-312.8) or European (#iNet-312.8eu) power plug. The photo to the right shows a USA plug. #iNet-312.8 Power Supply, 110/220VAC, 5V/3.5A, +12V/1.5A, -12V/0.8A, USA Nema Plug. Includes one i300 power adaptor cable to cable power to instruNet network. #iNet-312.8eu Same as iNet-312.8 described above, yet with 2 prong European CEE 7/7 Plug. 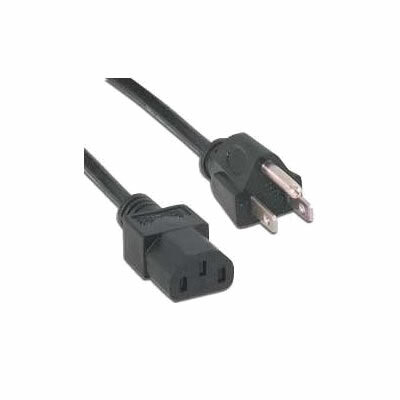 For details on this plug, click here. Input voltage is between 100 VAC and 240 VAC, ≤ 1 Amp. DC regulated output voltages are listed below. The i312 product labels shows higher maximum currents, yet to keep the i312 supply from getting quite hot, we recommend using it at the below maximum currents. (e.g. < 50mVpp on 5 VDC output). The Model #iNet-312.8 provides a USA Nema Plug and the Model #iNet-312.8eu provides a European CEE 7/7 Plug; as noted in the above table. For a description of the 5pin DIN 41524 connnector output pins, click here. Over Voltage and Over Current protected. Switching power supply construction with 75% typical power efficiency. UL (USA), FCC Class B (USA), cUL (Canada), TUV (Germany), T Mark (Germany), CB (Europe), CE (Europe), CCC (China), and RoHS (materials) rated; as pictured here. This item is referred to as Part Number iNet-312 and Model Number SPU45E. For	a copy of compliance reports, click here. Operates at ambient temperatures between 0° to 70°C. 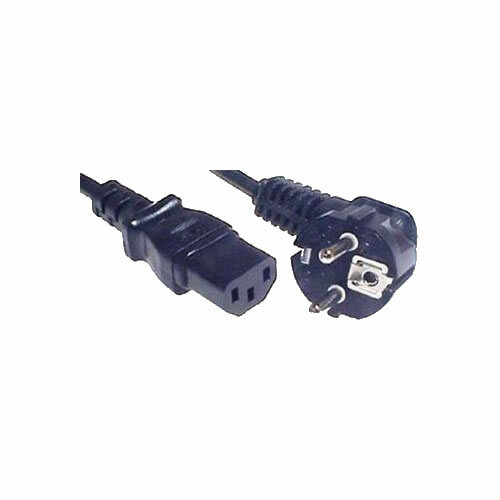 One i300 power adaptor cable is included with each i312.8 package. 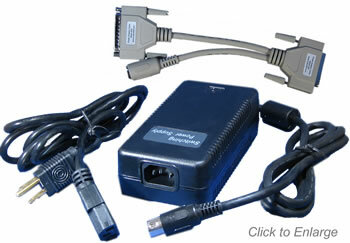 Pictured below is a typical system that uses the i312.8 Power Supply and the i300 Power Adaptor Cable. In this example, the i300 Cable attaches an i2x0 controller and the i312.8 power supply to an i410 Interface Card. The i410 card sits in an i400 Card Cage along with an i430 A/D Card. For more i312 applications, click here.